So, I got a new saddle for my bike. Ravish, my weekend cycling partner, had injured his knee while running sometime earlier this week. I believe he wouldn’t be cycling for the next few months. Last time during the Kolar trip, I had chafed in my chamois. This always used to happened after I had ridden for about 3 hours or so. I thought the culprit was my saddle or my reach or both. I did not know what to do. One of the best places where I could have gotten some consultancy was BOTS. I wanted to go to their Jayanagar store. 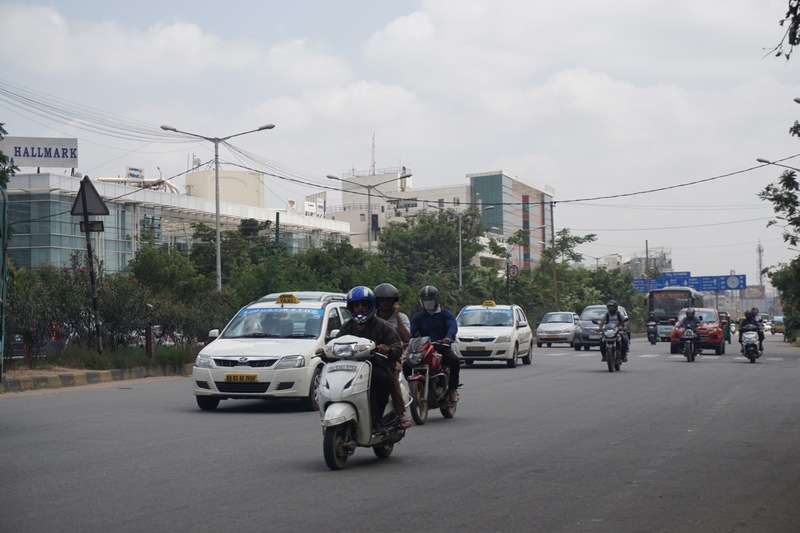 I thought it was a good opportunity to ride through the chaos of smaller lanes in Bangalore for some fun. The speeds were abysmal but it was pretty fun navigating the traffic. Oh! And I was wearing jeans. (I had a bicycling short in my backpack in case I needed it during the fit. I eventually wore it during the fitting session). After an hour of ride through the Outer Ring Road and some strange roads that Google Maps made me traverse, I was there. I explained my problem to the store guy and he promptly pointed out that it would be much better if I went to their Infantry Road store. This is near the Cisco Office on Outer Ring Road. For some reason, whenever I am on ORR, I always stop here for my drinking break. This is Madiwala junction. 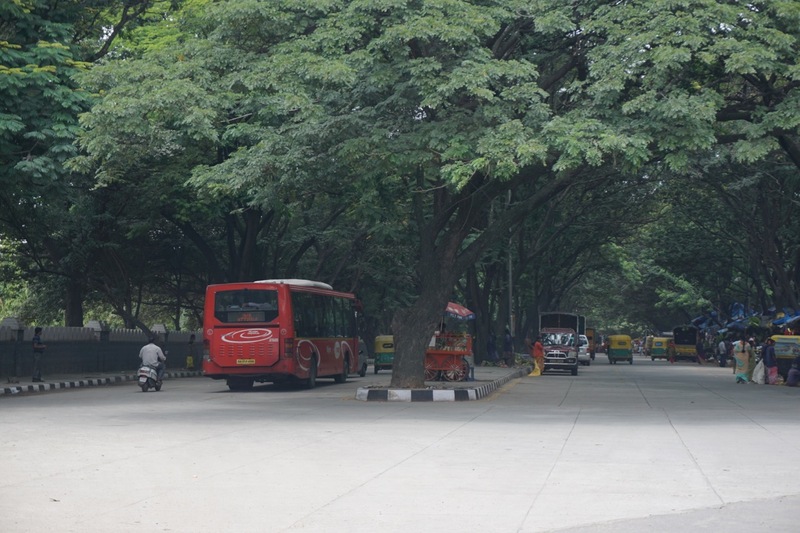 The place which marks the onset of proper greenery in Bangalore. Compare this with the picture of concrete jungle on ORR. Google Maps led me straight to BOTS, Jayanagar through the roads of SG Palya. Oh, wait, dod I say roads? My bike all set up on a turbo trainer in the bike fit room. For the next two hours, Suraj did a few alterations to my bike. He flipped the stem to give me a more upright posture on the bike. My stem’s rise was a negative 5 degrees. Now its rise is a positive 5 degrees. The reach has also shortened because of this. 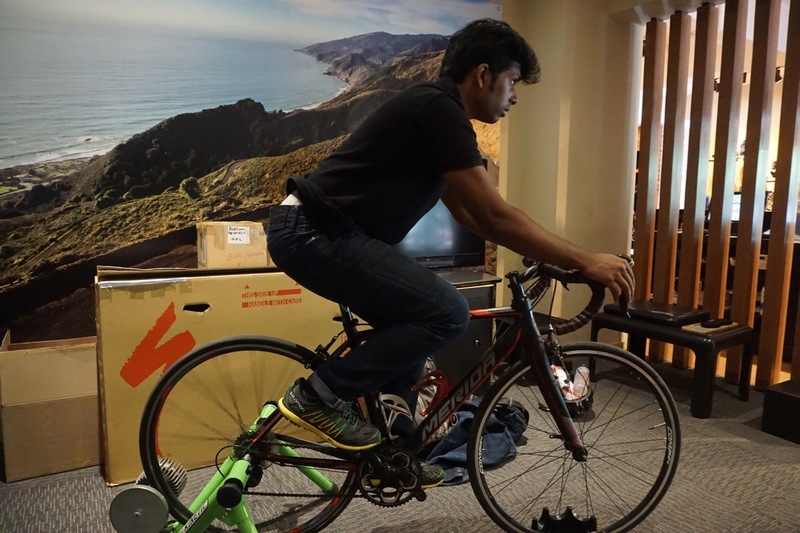 Suraj replaced my stock saddle with a Specialized Body Geometry Phenom Comp (Cro-Mo rails version). The saddle is not marketed as a road saddle but an XC saddle. In the end, it didn’t matter as long as I eventually get comfortable on the saddle. 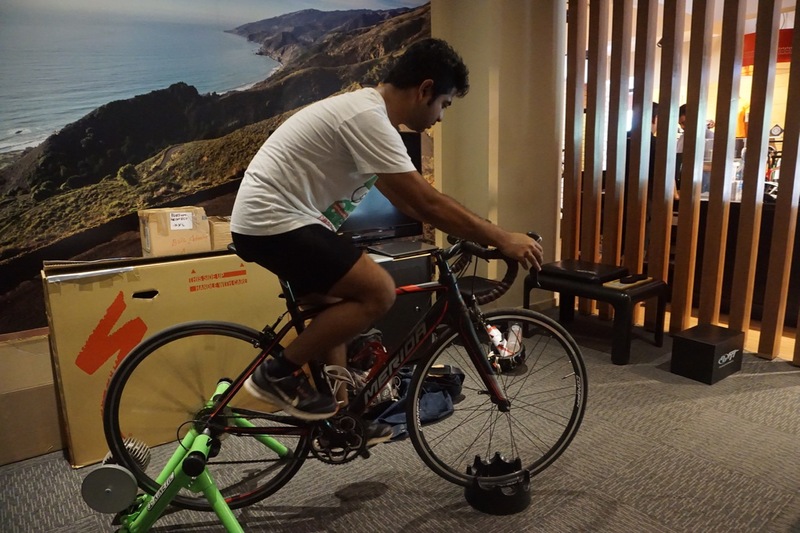 Suraj pointed out that my posture was more suitable for MTB rides and would cause a lot of discomfort for long hours on the saddle. I realised this could be from my years of riding hybrid through the roads (or potholes?) 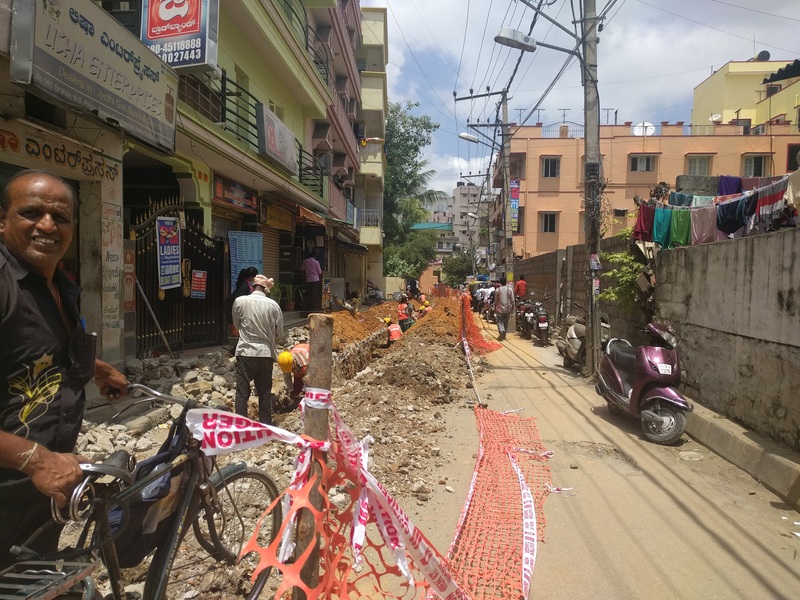 of Bangalore. While on my hybrid, I tend get off my saddle very frequently like an MTB rider through roots, rocks and trails. Suraj demonstrating a better posture. This requires some bit of core strength and practice. My overly arched back doesn’t engage my core and extends my arms more. My saddle height was quite low. He raised it by more than 2 centimetres. 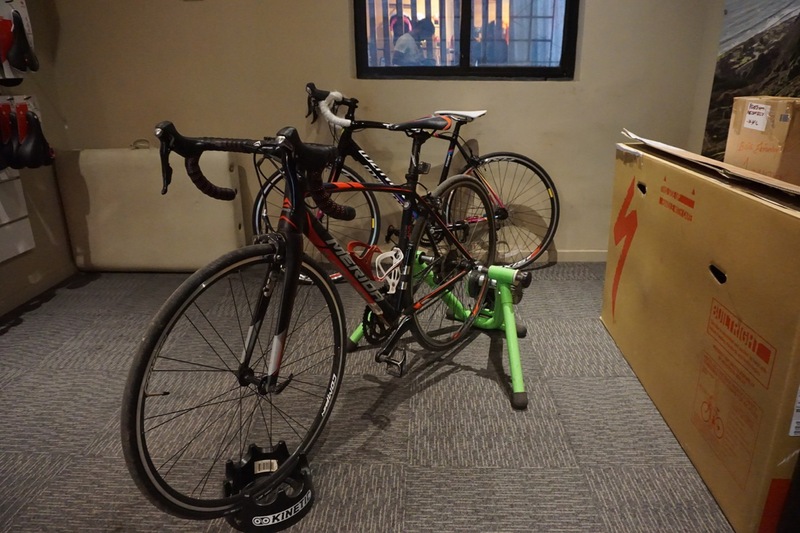 I had not changed my saddle height ever since it was set up on the day had bought the bike. I remember Shivaraj at Wheelsports setting it up slightly low since I was a beginner. He did mention that I could raise it once I got used to it. I like the fact that BOTS never pushes an item on their customers. They did not push a wrong sized frame last year like the guys at ProCycle tried to do. This time too, Suraj did not insist on buying the saddle. Instead, he gave me an option if I wanted to get used to the new posture and then swap the saddle. In the end, I ended up purchasing the saddle. Mainly because it was tad bit more comfortable and did not slide my bum towards the nose of the saddle. It would also be better to get used to a better saddle upfront. On my way back, I consciously tried to maintain the posture that Suraj had demonstrated. I felt like it was doable. On my way back I paid a visit to my school friend Nabyendu. His parents stay with him. We chatted for two or three hours on super random topics – mountains, mountaineering and trekking and travelling included. His father’s anecdotes are always fun to hear and he knows how to keep his audience engaged. 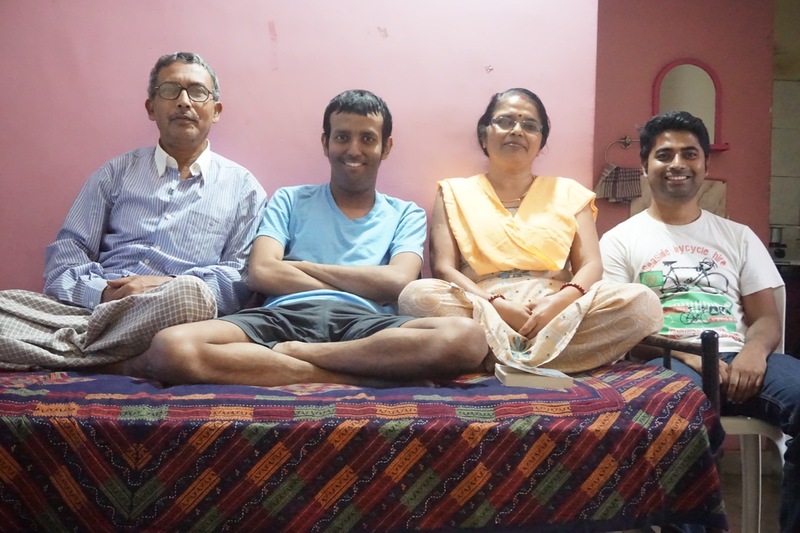 Me with Nabyendu and his parents. 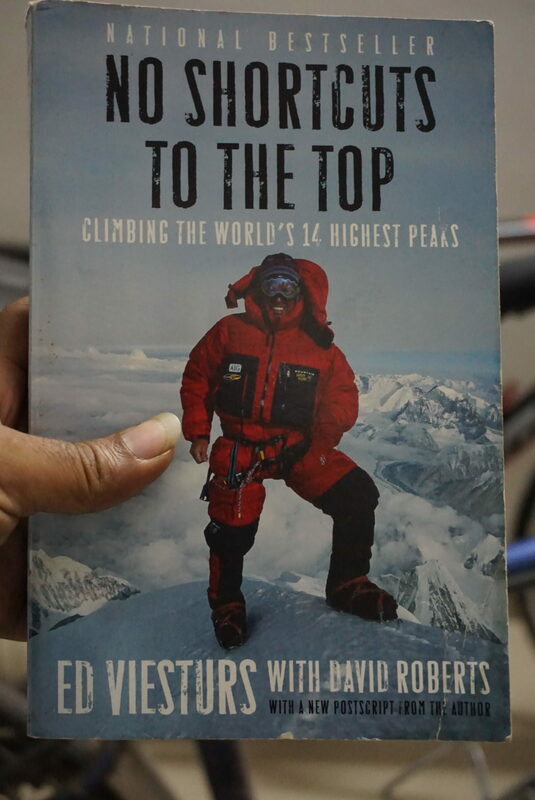 I have watched many documentaries featuring Ed Viesturs. He is a legend. One of his most prominent appearances is the Everest IMAX documentary that chronicled the infamous 1996 Everest disaster. By the way, Nabyendu also has a copy of John Krauker’s Into Thin Air, one of the books that details the incident. In fact, of all the accounts of the disaster, Into Thin Air is the best. I later cycled over to Mogit’s place and spent the night with Nandy, Mogit and his elder brother. I cooked my best pork till date but that’s a recipe for another day.